Gary Neville was pleased to see Manchester United's forwards produce the goods in their 2-2 draw at Chelsea, but called for more consistency from Anthony Martial, Marcus Rashford and Romelu Lukaku, while also defending Jose Mourinho's conduct at the final whistle. 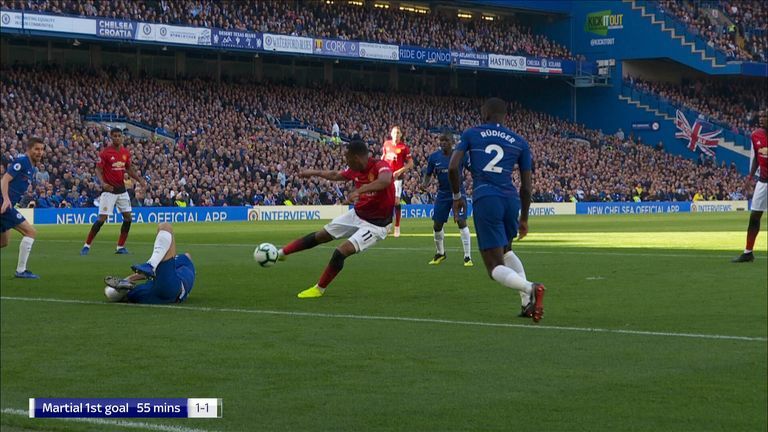 Martial hit his first competitive double for United since November 2016 to put his side seemingly on course for a crucial victory at Stamford Bridge as they seek to repair the damage from their stuttering start to the season, but Ross Barkley's last-gasp equaliser denied United all three points. Nonetheless, alongside Martial, United's forwards were much improved in the second half at Stamford Bridge, with Rashford providing one assist and Lukaku looking more lively. Speaking on the Gary Neville Podcast, Neville insisted that United's talented forward line need to start producing the goods on a regular basis. 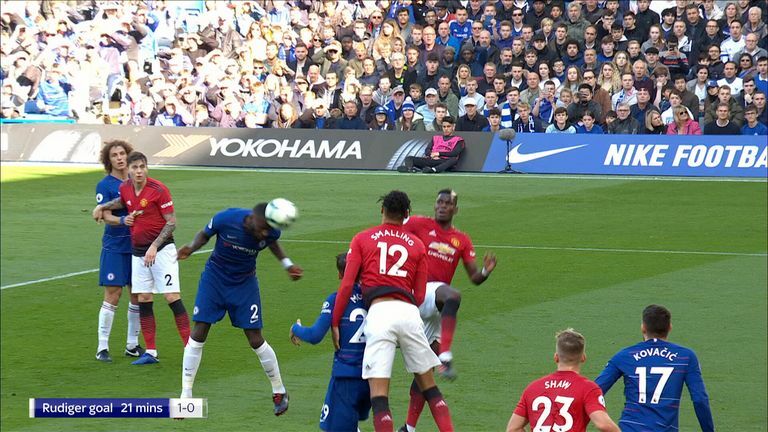 Paul Pogba reacted with frustration after Chelsea's opener - but the Sky Sports pundits thought he was to blame. "They need more from the front three, there's so much talent there," Neville said. "If you think of Lukaku, [Alexis] Sanchez, Martial and Rashford, they need more from them. I want to see more runs past Lukaku. I want the two wide players, whoever they are - you see what Sadio Mane and Mohamed Salah do for Liverpool, how they make those narrow runs inside. 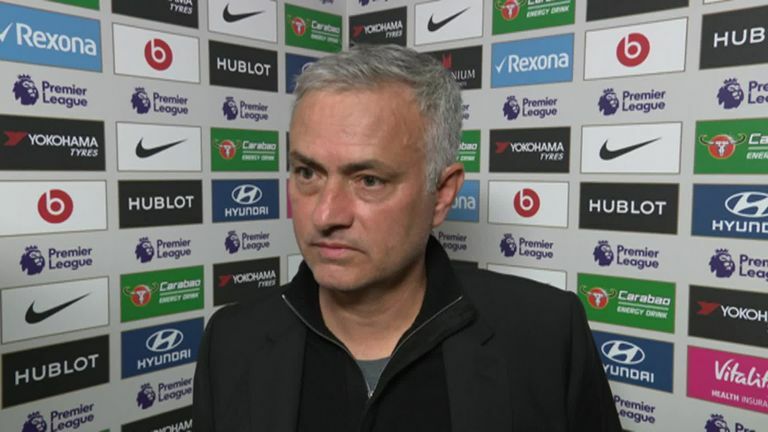 "I thought in the first half, there was an absolute gulf in the quality of the wide players - between Eden Hazard and Willian and Rashford and Martial - they're understanding of the position and their adapting of their position on the pitch when the team were in possession, there were no runs in behind with intent, there was a lack of quality on the ball. ut in the second half, Martial gives you a glimpse. He shows you what he can do and Rashford does that as well but they've got to perform consistently. Graeme Souness says Anthony Martial has the potential to be one of the best players in the Premier League. "You may argue that Marcus isn't a right-sided player, Martial wants to play as a centre-forward, so does Marcus but they have to make the best with what they've got and I think they can do so much more and that's a compliment - it's not a criticism - because they can give so much to the team. Jose Mourinho says Maurizio Sarri's second assistant Marco Ianni has apologised to him following their altercation after Chelsea's equaliser. "They could score 20 goals a season from those positions and Lukaku could score 25 - that's a target of 65 goals. Is 65 goals between those players, including Sanchez, too much to ask? I don't think it is. There are 65 goals there, go and score them and make sure you do it every single season of your career because that's the quality you have to get to. Maybe that will give them the confidence today." 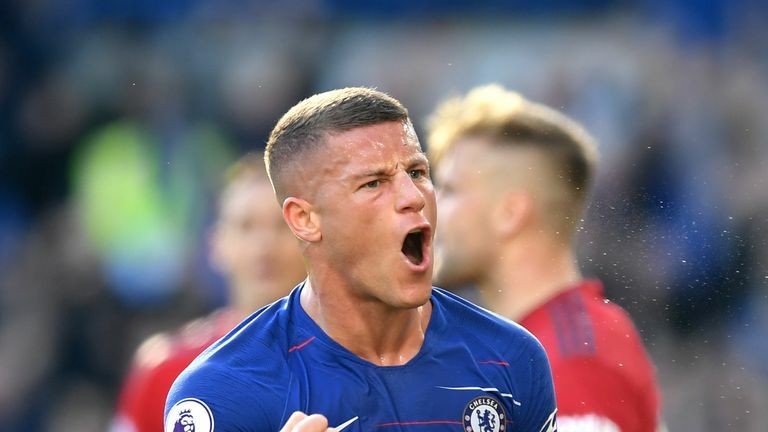 Barkley's equaliser sparked a touchline melee, with Mourinho having to be restrained after being provoked by the celebrations of Chelsea second assistant Marco Ianni. Neville, however, leapt to the defence of the United boss, insisting such emotion is bound to occur in a game of such magnitude. "For me, over-enthusiastic celebrations are a part of the game, but I also think that if you're on the end of it, you should be able to react," Neville added. "We can sit here and say it's ridiculous that these managers react, but what you saw at the end was raw emotion. 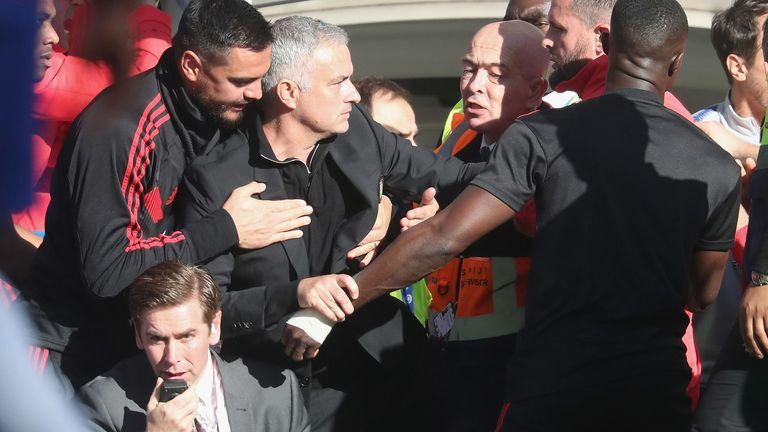 Jose Mourinho reacted angrily after a member of the Chelsea staff appeared to celebrate provocatively in front of him following their equaliser. "I could sit here with a halo above my head and say 'it's terrible for the people to see at home, it's not what we want to see representing the game' or I could actually say 'I've been there, I've done it, I've been on the receiving end of it.' You cannot control your emotions and that's why we love this game because we want to see moments like that. "For me, Jose Mourinho's reaction was something I would expect and also something I would expect from the Chelsea bench. It was a big moment for the Chelsea team, fans and staff so they're entitled to over celebrate, you always do with a last minute goal. "Jose Mourinho actually came onto the scene at Old Trafford sliding down the touchline. My view is I would like to see it more if it was my team celebrating, but I love to see that emotion in football where you see people just lose it - not in a violent way - but in an emotional way."